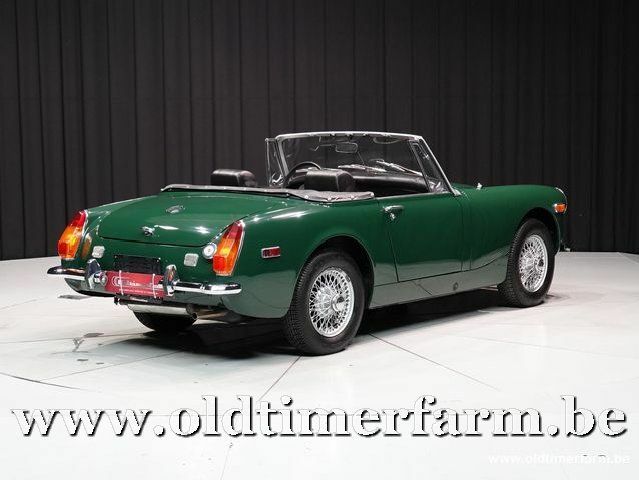 Nice English Old-timer, ideal as first old-timer! 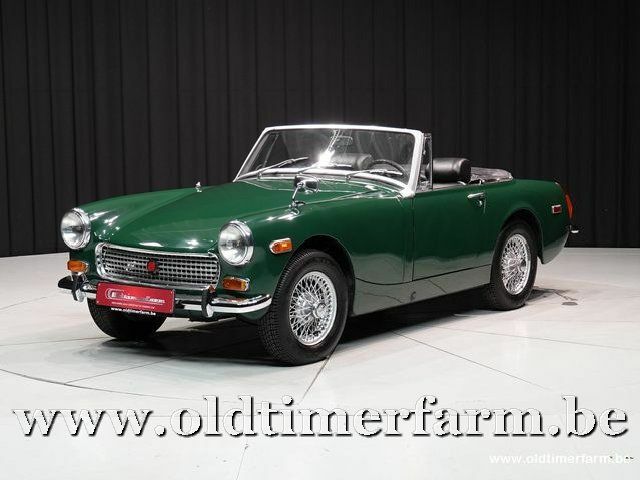 The MG Midget is a small two-seater sports car produced by MG division of the British Motor Corporation from 1961 to 1979. It revived a famous name used on earlier models such as the MG M-type, MG D-type, MG J-type and MG T-type. The first version was essentially a slightly more expensive badge-engineered version of the Austin-Healey Sprite MKII and retained the quarter-elliptic sprung rear axle from the original Sprite. The engine was a 948 cc A-Series with twin SU carburettors producing 46 hp (34 kW) at 5500 rpm and 53 lbf•ft (72 Nm) at 3000 rpm. Brakes were 7 in (178 mm) drums all round. A hard top, heater, radio and luggage rack were available as factory fitted extras. In October 1962 the engine was increased to 1098 cc, raising the output to 56 hp (42 kW) at 5500 rpm and 62 lbf•ft (84 Nm) at 3250 rpm and disc brakes replaced the drums at the front. Wire-spoked wheels became available. The doors had no external handles or locks and the windows were sliding Perspex side-screens. A heater was an optional extra. Midget Mk II. Externally the main changes were to the doors, which gained wind-up windows, swivelling quarter lights, external handles and separate locks. The windscreen also gained a (slight) curvature and was retained in a more substantial frame. The hood (US – top), though modified, continued to have a removable frame that had to be erected before the cover was put on. The rear springs were replaced by more conventional semi-elliptic types which gave a better ride. The engine block was strengthened and larger main bearings were fitted, increasing the power to 59 hp (44 kW) at 5750 rpm and torque to 65 lbf•ft (88 Nm) at 3500 rpm. Middget MK III. The engine now grew to 1275 cc using the development seen on the Mini-Cooper 'S'. There were minor facelift changes to the body in 1969, with the sills painted black and a revised recessed black grille. Rubery Owen "Rostyle" wheels were standardised but wire-spoked ones remained an option. The last Midget, now called MG Modget 1500, was made from 1974 till 1980, using a Triumph Spitfire 1500 engine.